Zbigniew Bochniarz, is affiliated to the Evans School of Public Affairs at the University of Washington in Seattle. He spent over twenty years at the University of Minnesota’s Humphrey Institute where he founded a Center for Nations in Transition. The Center became an international leader in delivering foreign assistance for Central and Eastern Europe. His work focuses on economic, environmental, and social aspects of sustainability of transforming economies. He is the author, co-author and/or editor of over 100 publications. Gary B. Cohen, has been director of the Center for Austrian Studies and professor of history at the University of Minnesota, Twin Cities, since 2001. 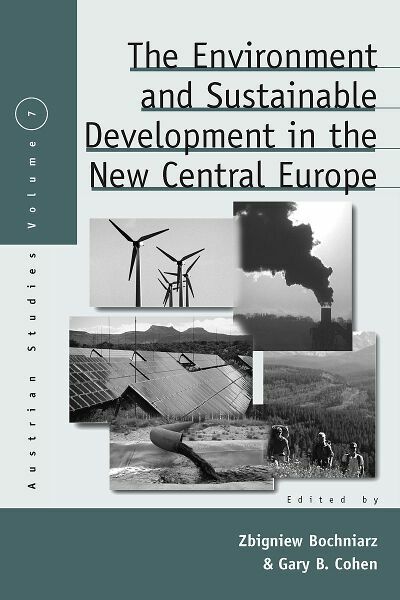 He teaches and publishes on modern Central European social and political history. He is the author of numerous articles and essays as well as two books, The Politics of Ethnic Survival: Germans in Prague, 1861-1914 (first edition, Princeton Univ. Press,1981; rev. 2nd ed., Purdue Univ. Press, 2005) and Education and Middle-Class Society in Imperial Austria, 1848-1918 (Purdue Univ. Press, 1996).